After coming from Chennai, I was totally engrossed with writing the kutchwork tutorial. What I did not expect was- the pictures of my working would be completely hidden from view. I don’t know what to do. In future I can post pictures separated by some sentences. But this time the pictures are too many, that I cannot go edit them too. But this tutorial is already available on the net. I ‘ll just take care from the next tutorial. Another excuse for my laziness.I was quite disappointed after two hours of posting. That said, I’ll get along with my usual tunic posts. I took some pictures of the old tunics , which are kept in Chennai. 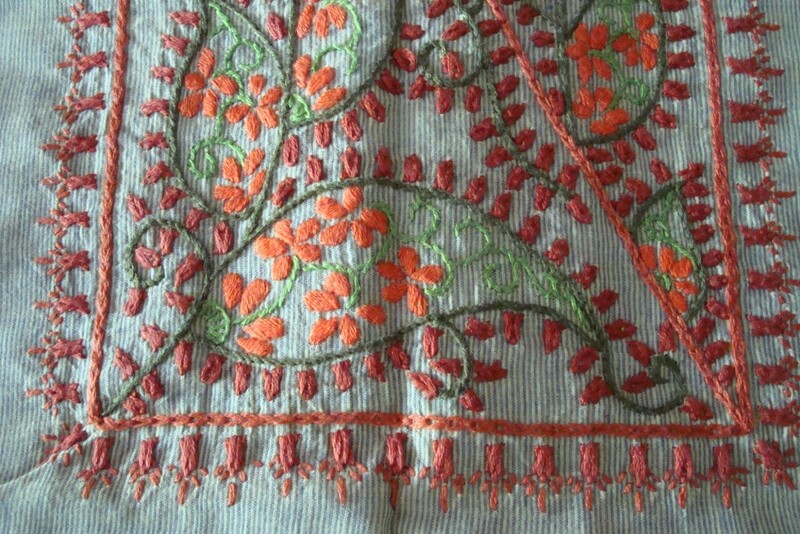 The tunic is light green mangalagiri cotton with stripes.the salwar[ Indian pants] are in dark orange[ nearly copper]. We generally refer to this colour as copper. 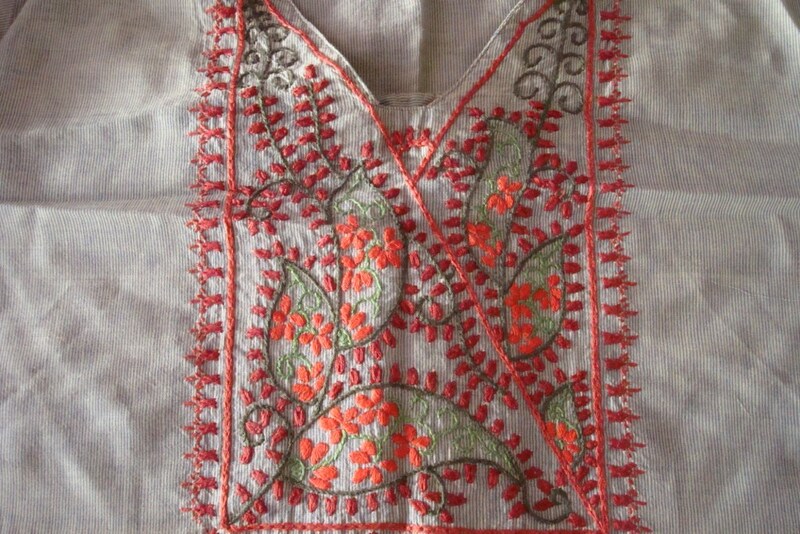 The main embroidery stitch was chain stitch over cross stitch, it is worked on outlines and border. The other stitches used are- satin st, stem st, chain st and straight st. I have worn this tunic many times,thought it does n’t catch the eye immediatly,it does has a silent appeal of its own.